You never get a second chance to make the right first impression. If you’re looking for a driveway that catches the eye for the right reasons, Woburn Rumbled is an ideal choice. With its delightful cobble style, featuring a traditional rumbled finish and smooth rounded edges, Woburn Rumbled will enhance any driveway. While the weathered appearance and attractive mottled effect help create a sense of real period charm and character. 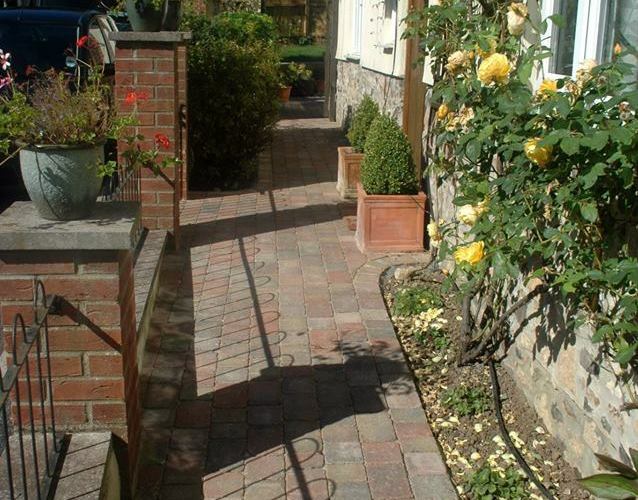 Project completed by Gardening Matters using Bradstone's Woburn Rumbled Block Paving in the Autumn mix using 3 different sizes.